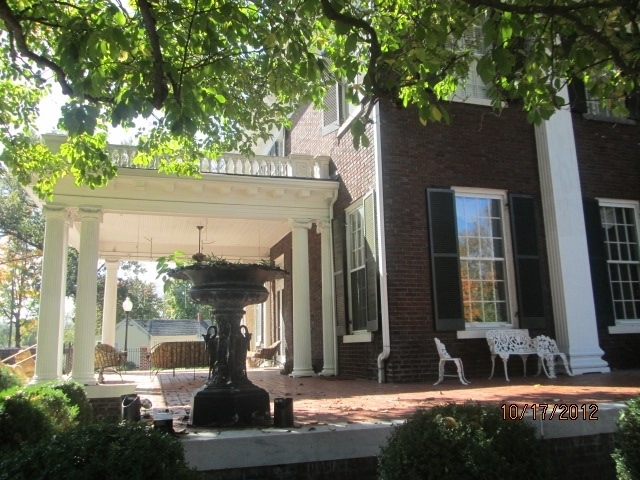 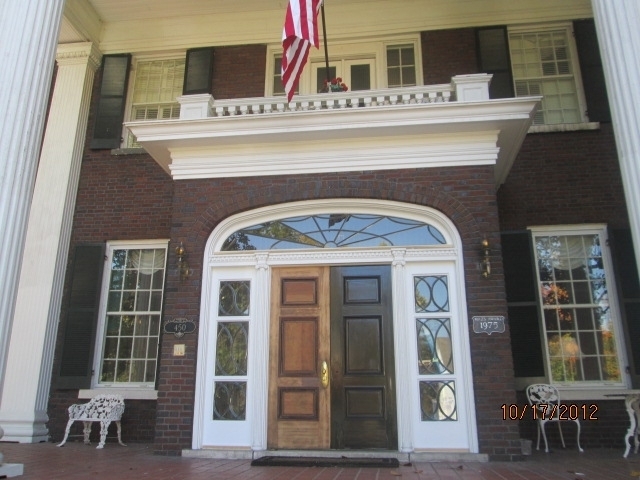 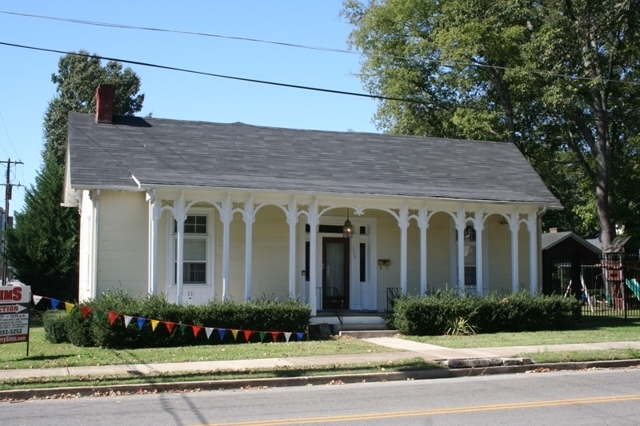 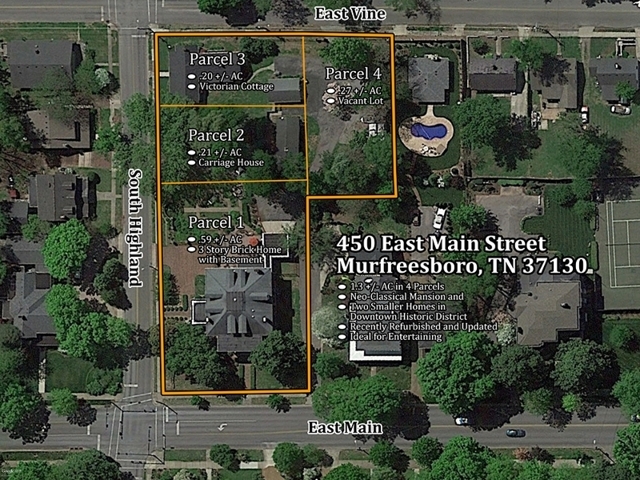 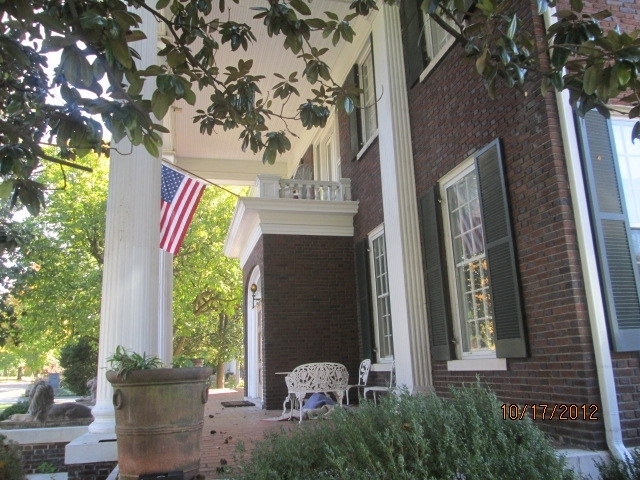 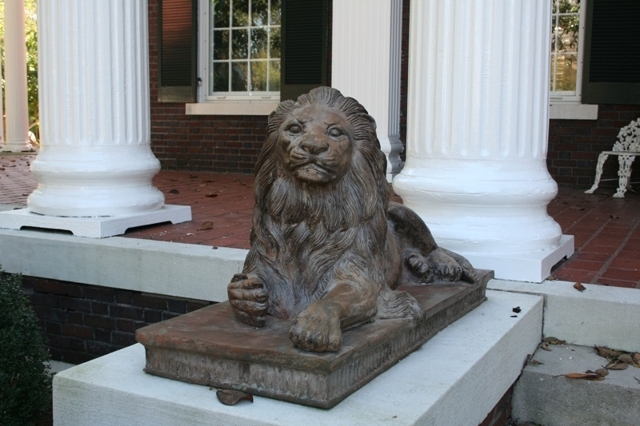 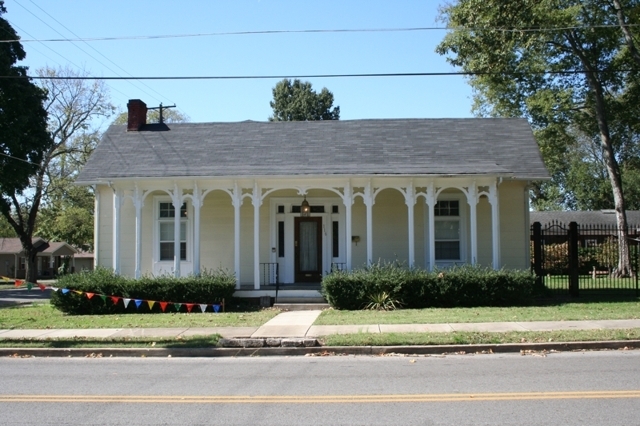 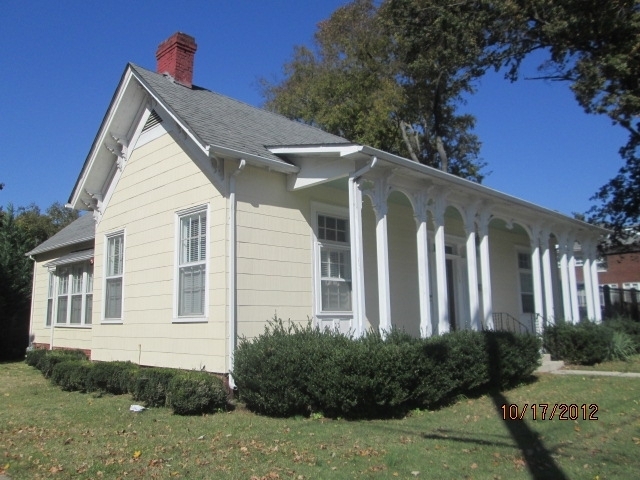 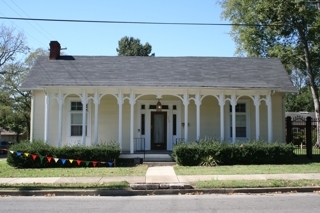 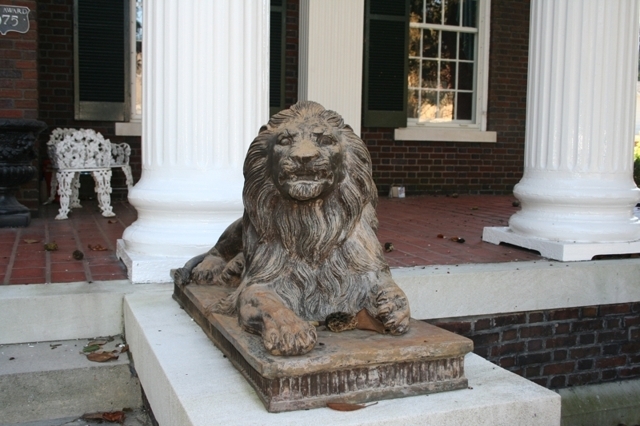 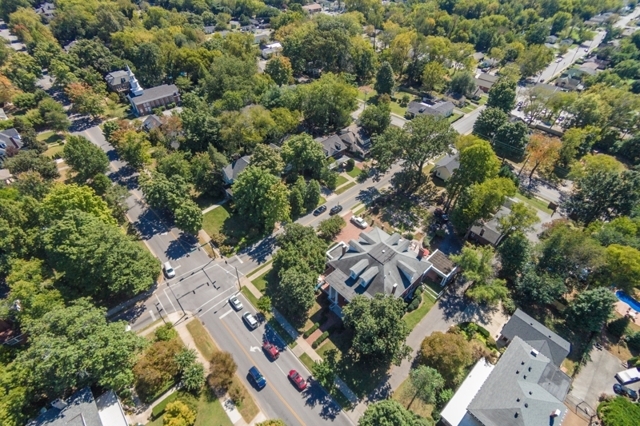 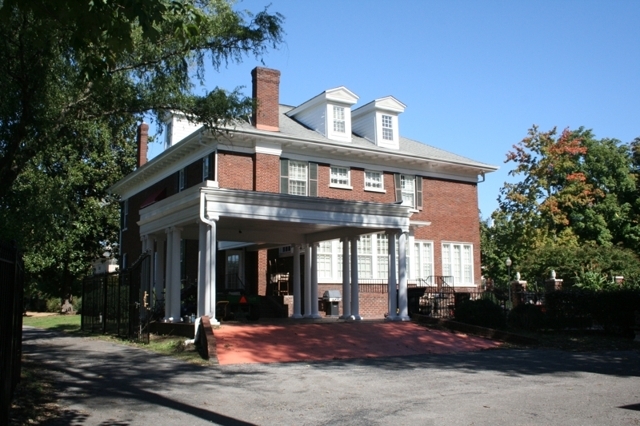 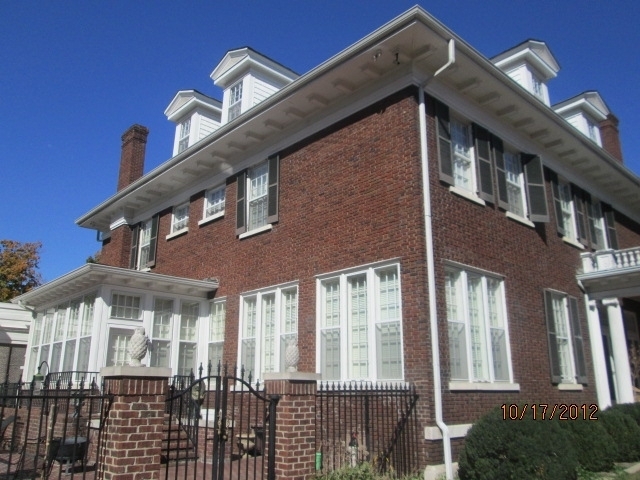 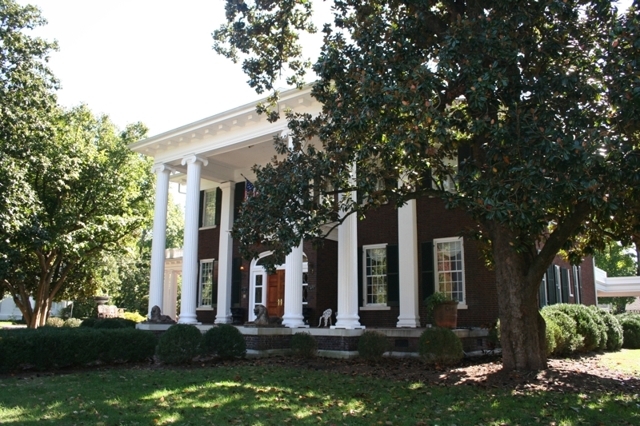 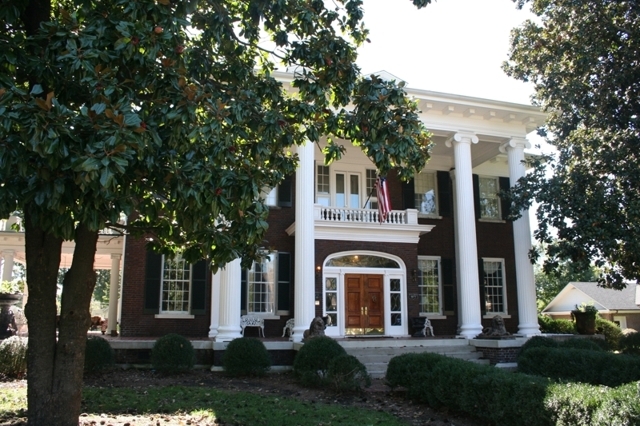 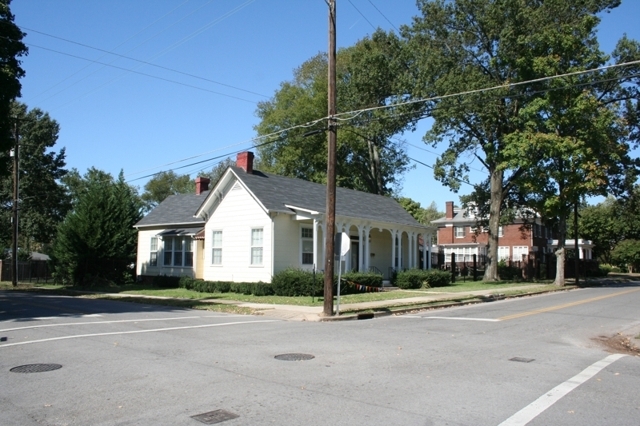 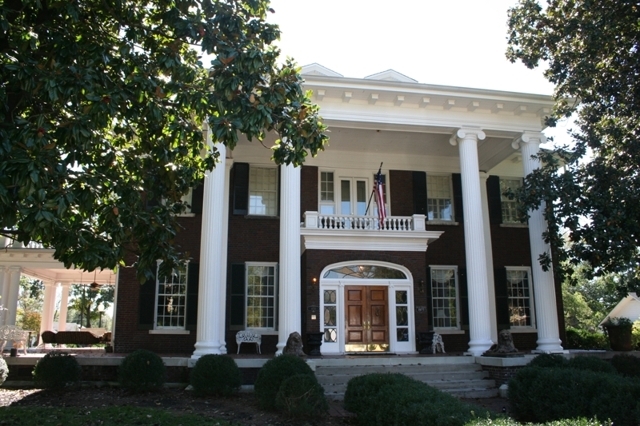 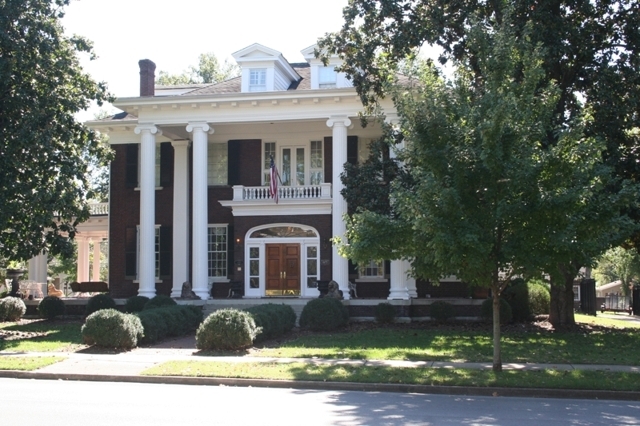 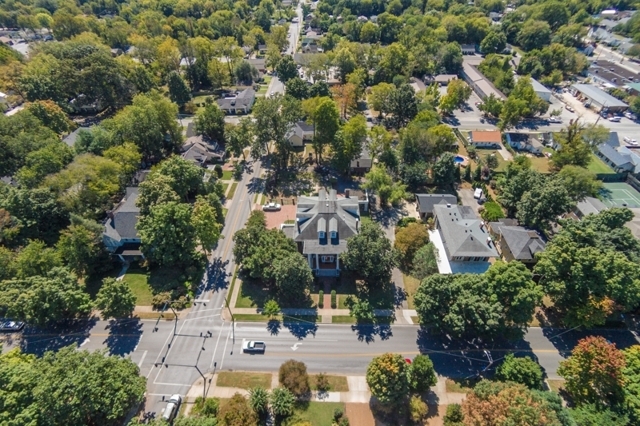 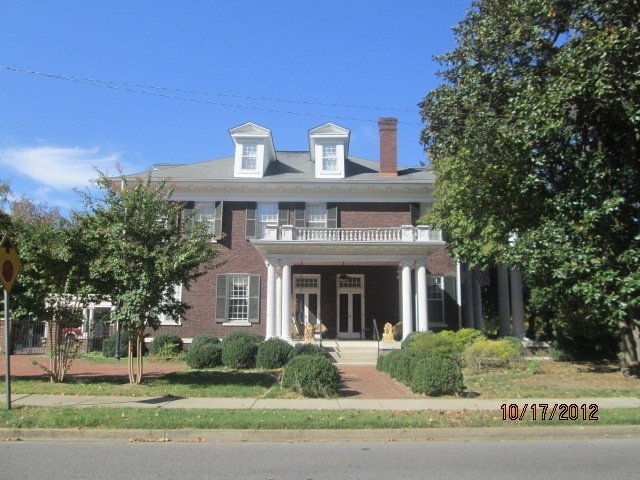 A once in a lifetime opportunity to own a piece of history – a unique property that features a Neo-Classical Mansion and Two Smaller Homes in the Downtown Historic District of Murfreesboro, Tennessee. This spectacular three-story, four bedroom, four bath mansion was built in 1913 by the illustrious Darrow family who wanted a home suitable for entertaining guests at their frequent lavish parties. 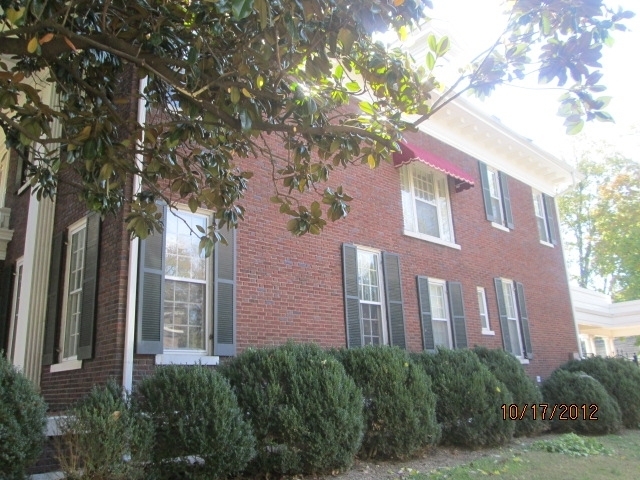 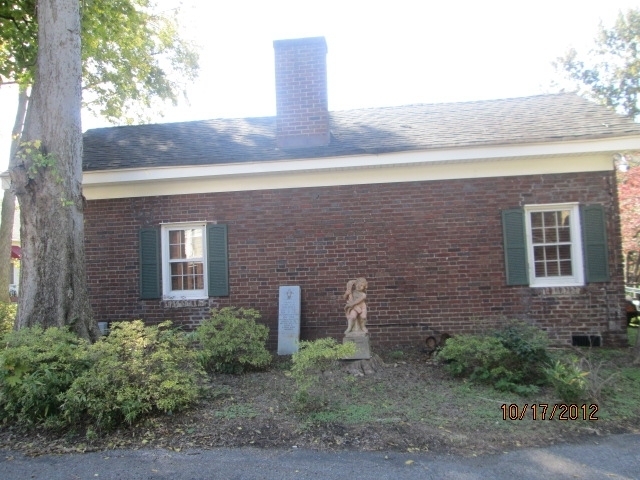 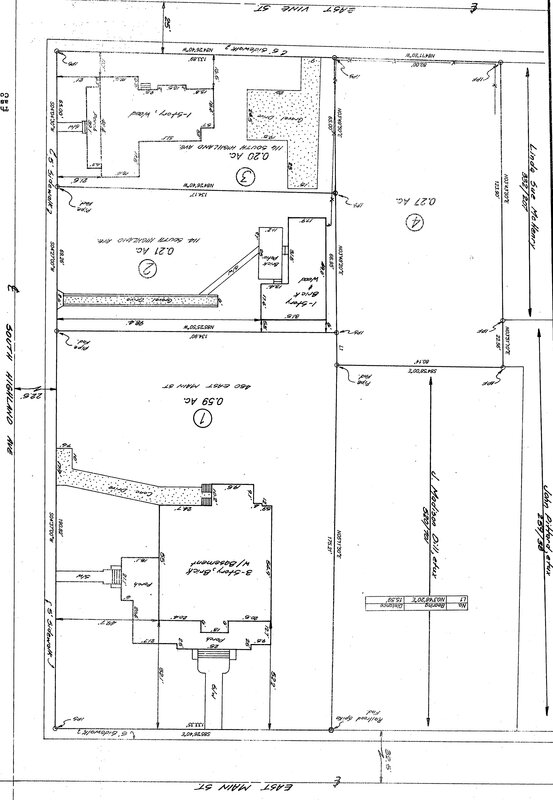 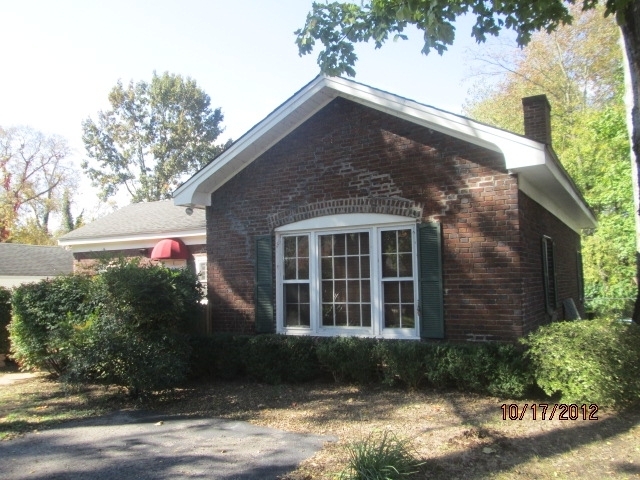 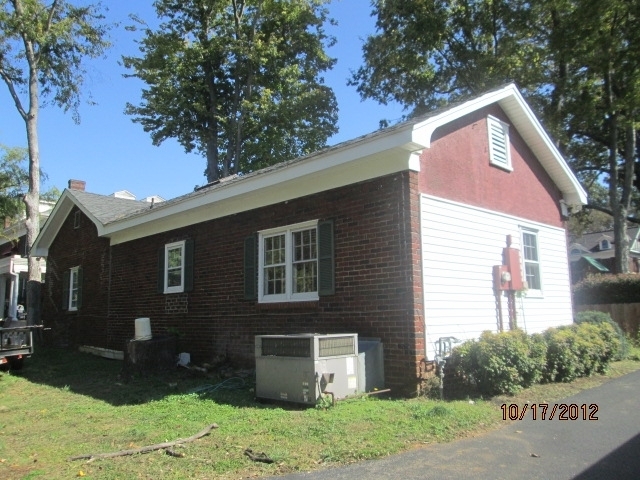 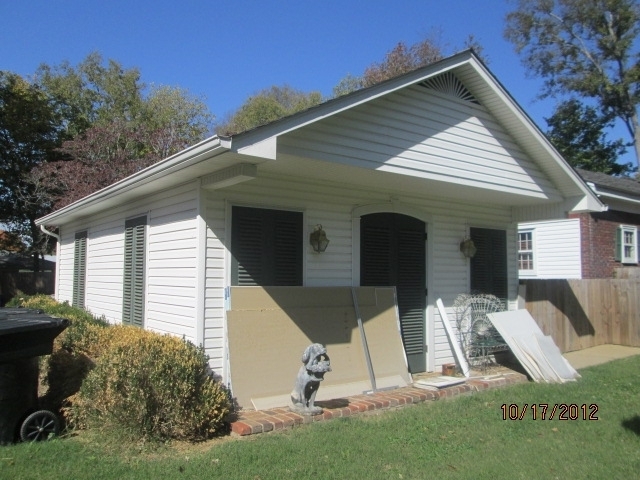 A home that would be closer to the center of town than their house at Oaklands Plantation, which they had owned since 1884. 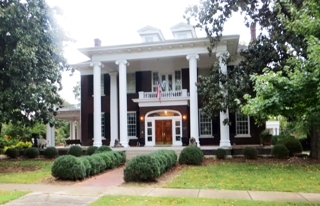 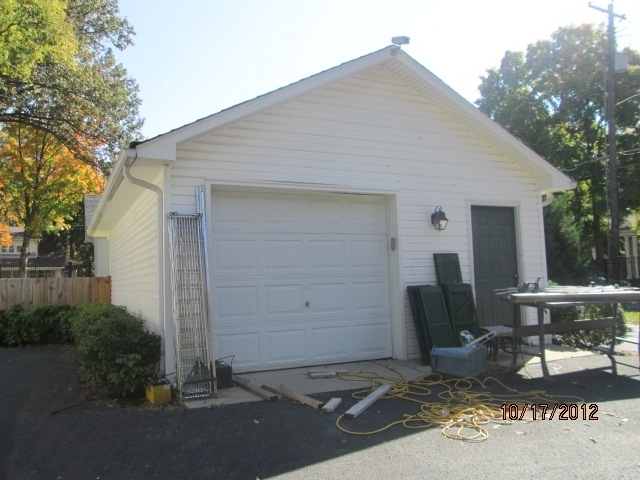 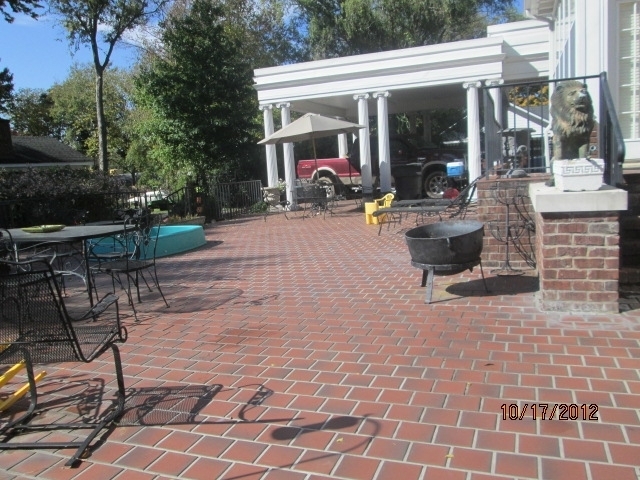 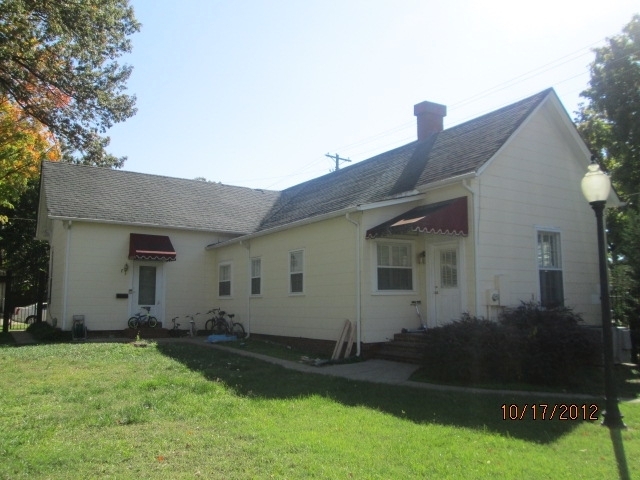 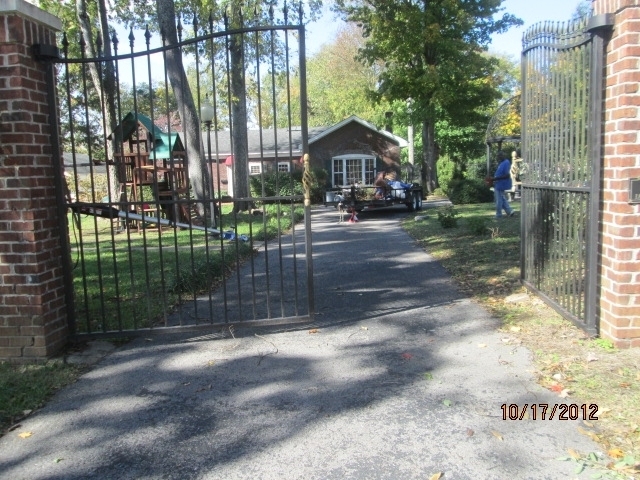 The primary residence includes 7,468 square feet of living space with a portico, carport, and a full basement. 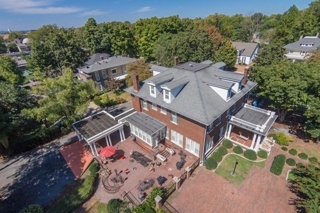 The mansion sits on a sprawling 1.3 acre lot which it shares with a 1,000 square foot brick converted carriage house with a garage and storage; a 1,700 square foot Early Victorian cottage; and a .27 acre vacant lot. 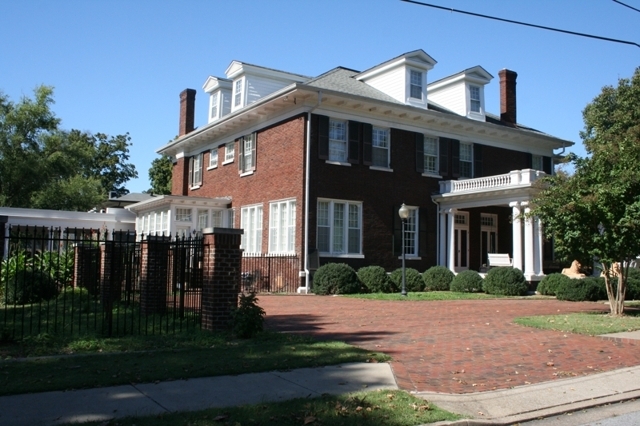 Recent Owners have significantly updated/upgraded home’s systems. 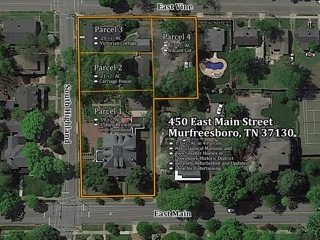 FROM I-24, TAKE EXIT 81 ONTO SOUTH CHURCH ST.
FOURTH BLOCK ON THE RIGHT.